John C. Davidson, the Conservative Party MP, sent a memorandum to King George V advising him on the appointment: "The resignation of the Prime Minister makes it necessary for the Crown to exercise its prerogative in the choice of Mr Bonar Law's successor. There appear to be only two possible alternatives. Mr Stanley Baldwin and Lord Curzon. The case for each is very strong. Lord Curzon has, during a long life, held high office almost continuously and is therefore possessed of wide experience of government. His industry and mental equipment are of the highest order. His grasp of the international situation is great." Davidson pointed out that Baldwin also had certain advantages: "Stanley Baldwin has had a very rapid promotion and has by his gathering strength exceeded the expectations of his most fervent friends. He is much liked by all shades of political opinion in the House of Commons, and has the complete confidence of the City and the commercial world generally. He in fact typifies the spirit of the Government which the people of this country elected last autumn and also the same characteristics which won the people's confidence in Mr Bonar Law, i.e. honesty, simplicity and balance." 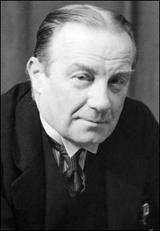 Stanley Baldwin died on 14th December 1947. By John Simkin (john@spartacus-educational.com) © September 1997 (updated March 2019). In the case of Mr. Baldwin, there was also a transition from business to politics, but it was of a less deliberate and drastic character. He may be said to have inherited the double strain of industry and public service, since he succeeded both to his father's business and to his father's seat in the House of Commons. He was, in fact, free to choose any path which appealed to him. I am myself of that somewhat flabby nature that always prefers agreement to disagreement...When the Labour Party sit on these benches, we shall all wish them well in their effort to govern the country. But I am quite certain that whether they succeed or fail there will never in this country be a Communist Government, and for this reason, that no gospel founded on hate will ever seize the hearts of our people - the people of Great Britain. It is no good trying to cure the world by spreading out oceans of bloodshed. It is no good trying to cure the world by repeating that pentasyllabic French derivative, "Proletariat." The English language is the richest in the world in thought. The English language is the richest in the world in monosyllables. Four words, of one syllable each, are words which contain salvation for this country and for the whole world, and they are "Faith," "Hope," "Love," and "Work." No Government in this country to-day, which has not faith in the people, hope in the future, love for his fellow-men, and which will not work and work and work, will ever bring this country through into better days and better times, or will ever bring Europe through or the world through. 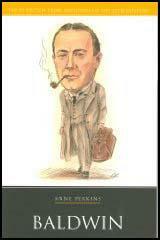 I am myself of that somewhat flabby nature that always prefers agreement to disagreement... When the Labour Party sit on these benches, we shall all wish them well in their effort to govern the country. But I am quite certain that whether they succeed or fail there will never in this country be a Communist Government, and for this reason, that no gospel founded on hate will ever seize the hearts of our people - the people of Great Britain. It is no good trying to cure the world by spreading out oceans of bloodshed. It is no good trying to cure the world by repeating that pentasyllabic French derivative, "Proletariat." The English language is the richest in the world in thought. The English language is the richest in the world in monosyllables. Four words, of one syllable each, are words which contain salvation for this country and for the whole world, and they are "Faith," "Hope," "Love," and "Work." No Government in this country to-day, which has not faith in the people, hope in the future, love for his fellow-men, and which will not work and work and work, will ever bring this country through into better days and better times, or will ever bring Europe through or the world through. Some of those to-day who are loudest in their protestations of international pacifism are loudest in their protestations that nothing but a class war can save society. No truer word was ever said by a philosopher than was said by Kant, a century ago or more, that we are civilised to the point of wearisomeness, but before we can be moralised we have a long way to go. It is to moralise the world that we all desire. ... We have to remember one more thing besides that, that since the War we must not make the mistake of thinking that what may be war weariness is necessarily an excess of innate good will, and we cannot help noting that there has arisen in Europe, in the few years since the peace, a strong local feeling in different places of an extreme nationalism which, unless corrected, may bear in what is not of itself an evil thing the seeds of much future peril for the peace and harmony of Europe. I am just one of yourselves, who has been called to special work for the country at this time. I never sought the office. I never planned out or schemed my life. I have but one idea, which was an idea that I inherited, and it was the idea of service — service to the people of this country. My father lived in the belief all his life … It is a tradition; it is in our bones; and we have to do it. That service seemed to lead one by way of business and the county council into Parliament, and it has led one through various strange paths to where one is; but the ideal remains the same, because all my life I believed from my heart the words of Browning, "All service ranks the same with God". It makes very little difference whether a man is driving a tramcar or sweeping streets or being Prime Minister, if he only brings to that service everything that is in him and performs it for the sake of mankind. The future lies between hon. Members opposite and ourselves. We are not afraid on this side of the House of social reform. Members of our party were fighting for the working classes when Members or the ancestors of Members opposite were shackled with laissez faire. Disraeli was advocating combination among agricultural labourers years before the agricultural labourer had the vote, and when he first began to preach the necessity of sanitation in the crowded centres of this country, the Liberal party called it a "policy of sewage." We stand on three basic principles, as we have done for two generations past - the maintenance of the institutions of our country, the preservation and the development of our Empire, and the improvement of the conditions of our own people; and we adapt those principles to the changing needs of each generation. Do my Friends behind me look like a beaten army? We shall be ready to take up the challenge from any party whenever it be issued, wherever it is issued and by whomsoever it be thrown down. It was curiously crossed with two strong strains which worked sometimes comfortably and sometimes very uncomfortably together. I owe my Quaker strain to the earliest days of the Quakers. One of my ancestors went out in the reign of William III as a missionary to the American colonies. He devoted half a century to missionary life there and in the West Indies, where ultimately he died, leaving a name that was perhaps the most prominent and best kinown of the Quaker missionaries in those colonies. Now, that Quaker blood is peculiarly persistent, and I attribute to that a certain obstinacy I find existing in otherwise one of the most placable dispositions of any man I ever met. I find sometimes that when I conceive a matter to be a matter of principle I would rather go to the stake than give way. The government had no mandate to govern, and its members won their seats as a Socialistic vote, but were not carving out a Socialist policy. This could be only temporary. If words meant anything the Labour Party was a Socialist Party, and if they went back on socialism they were little more than a left wing of the Conservative Party. If we are to live as a party we must live for the people in the widest sense… Every future Government must be Socialistic. Then, in no nation more than the English is there a diversified individuality. We are a people of individuals, and a people of character...The preservation of the individuality of the Englishman is essential to the preservation of the type of the race, and if our differences are smoothed out and we lose that gift, we shall lose at the same time our power. Uniformity of type is a bad thing. I regret very much myself the uniformity of speech. Time was, two centuries ago, when you could have told by his speech from what part of England every member of Parliament came. He spoke the speech of his fathers, and I regret that the dialects have gone, and I regret that by a process which for want of a better name we have agreed among ourselves to call education, we are drifting away from the language of the people and losing some of the best English words and phrases which have lasted in the country through centuries, to make us all talk one uniform and inexpressive language. When we speak of Empire, it is in no spirit of flag-wagging...we feel that in this great inheritance of ours, separated as it is by the seas, we have yet one home and one people...great as the material benefits are, we do not look primarily to them. I think deep down in all our hearts we look to the Empire as the means by which we may hope to see that increase of our race which we believe to be of such inestimable benefit to the world at large; the spread abroad of people to whom freedom and justice are as the breath of their nostrils, of people distinguished, as we would fain hope and believe, above all things, by an abiding sense of duty. If ever the day should come when an appeal to that sense of duty falls on deaf ears among our own kin, that day indeed would be the end of our country and of our Empire, to which you and I have dedicated our very lives. The resignation of the Prime Minister makes it necessary for the Crown to exercise its prerogative in the choice of Mr Bonar Law's successor. There appear to be only two possible alternatives. Mr Stanley Baldwin and Lord Curzon. The case for each is very strong. Lord Curzon has, during a long life, held high office almost continuously and is therefore possessed of wide experience of government. His industry and mental equipment are of the highest order. His grasp of the international situation is great. Mr Stanley Baldwin has had a very rapid promotion and has by his gathering strength exceeded the expectations of his most fervent friends. He is much liked by all shades of political opinion in the House of Commons, and has the complete confidence of the City and the commercial world generally. He in fact typifies the spirit of the Government which the people of this country elected last autumn and also the same characteristics which won the people's confidence in Mr Bonar Law, i.e. honesty, simplicity and balance. There is however a disadvantage that, compared to many of his colleagues, his official life is short. On the other hand there can be no doubt that Lord Curzon temperamentally does not inspire complete confidence in his colleagues, either as to his judgement or as to his ultimate strength of purpose in a crisis. His methods too are inappropriate to harmony. 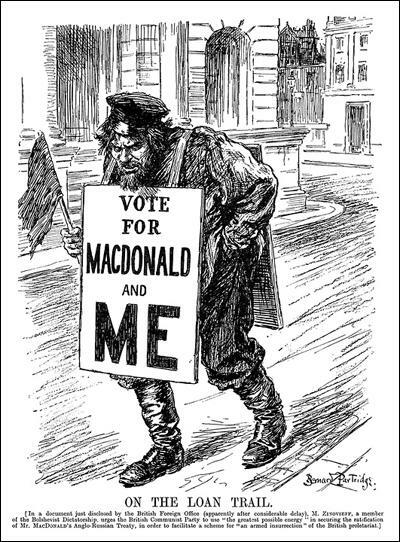 The prospect of him receiving deputations as Prime Minister for the Miners' Federation or the Triple Alliance, for example, is capable of causing alarm for the future relations between the Government and labour, between moderate and less moderate opinion. The choice in fact seems to be in recognizing in an individual those services which in Lord Curzon's case enable him to act as Deputy Prime Minister, but which as is so often the case when larger issues are involved might not qualify him in the permanent post. The time, in the opinion of many members of the House of Commons, has passed when the direction of domestic policy can be placed outside the House of Commons, and it is admitted that although foreign and imperial affairs are of vital importance, stability at home must be the basic consideration. There is also the fact that Lord Curzon is regarded in the public eye as representing that section of privileged conservatism which has its value, but which in this democratic age cannot be too assiduously exploited. The number of peers holding the highest offices in the Government, that is four out of the five Secretaries of State, has already produced comment, even among Conservatives. The situation in this respect will be accentuated by placing the direction of Government policy in the Upper House. For any further subordination of the House of Commons will be most strongly resented, not only by the Conservative Party as a whole, but by every shade of democratic opinion in the country. It is thought that the truth of this view finds support in the fact that whereas it would be most unlikely that Lord Curzon could form a government without the inclusion of the present Chancellor of the Exchequer, on the other hand it would clearly be possible for Mr Baldwin to form a government even though Lord Curzon should find himself unable to join it. In submitting myself to you for re-election, I propose frankly to put before you the present situation as I see it, and the measures which in the opinion of myself and my colleagues are necessary adequately to deal with it. 1. The unemployment and under-employment which our working people and our great national industries are now facing for the fourth winter in succession, on a scale unparalleled in our history, have created a problem which calls urgently for a solution. Their indefinite continuance threatens to impair permanently the trained skill and the independent spirit of our workers, to disorganise the whole fabric of industry and credit, and, by eating away the sources of revenue, to undermine the very foundations of our national and municipal life. 2. In large measure this state of affairs is due to the political and economic disorganisation of Europe consequent on the Great War. In accordance with the policy affirmed by the Imperial Conference we shall continue to devote every effort through the League of Nations and by every other practical means, to the restoration of a true peace in Europe. But that at the best must take time. A year ago Mr. Bonar Law could still hope that a more settled condition of affairs was in prospect, and that with it trade might enjoy a substantial and steady revival, even in the absence of any modification of fiscal policy, of the ultimate necessity of which he himself was always convinced. Since the occupation of the Ruhr it has become evident that we are confronted by a situation which, even if it does not become worse, is not likely to be normal for years to come. 3. The disorganisation and poverty of Europe, accompanied by broken exchanges and by higher tariffs all the world over, have directly and indirectly narrowed the whole field of our foreign trade. In our own home market the bounty given to the importation of foreign goods by depreciated currencies, and by the reduced standard of living in many European countries, has exposed us to a competition which is essentially unfair and is paralysing enterprise and initiative. It is under such conditions that we have to find work for a population which, largely owing to the cessation during the war period of the normal flow of migration to the Dominions, has in the last census period increased by over a million and three quarter souls. 4. No Government with any sense of responsibility could continue to sit with tied hands watching the unequal struggle of our industries or content itself with palliatives which, valuable as they are to mitigate the hardship to individuals, must inevitably add to the burden of rates and taxes and thereby still further weaken our whole economic structure. Drastic measures have become necessary for dealing with present conditions as long as they continue. 5. The present Government hold themselves pledged by Mr. Bonar Law not to make any fundamental change in the fiscal system of the country without consulting the electorate. Convinced, as I am, that only by such a change can a remedy be found, and that no partial measures such as the extension of the Safeguarding of Industries Act, can meet the situation, I am in honour bound to ask the people to release us from this pledge without further prejudicing the situation by any delay. That is the reason, and the only reason, which has made this election necessary. (iv) to give substantial preference to the Empire on the whole range of our duties with a view to promoting the continued extension of the principle of mutual preference which has already done so much for the expansion of our trade, and the development, in co-operation with the other Governments of the Empire, of the boundless resources of our common heritage. 7. Such a policy will defend our industries during the present emergency and will enable us, as more normal conditions return, to work effectively to secure a greater measure of real Free Trade both within the Empire and with foreign countries. Trade which is subject to the arbitrary interference of every foreign tariff, and at the mercy of every disturbance arising from the distractions of Europe, is in no sense free, and is certainly not fair to our own people. 8. It is not our intention, in any circumstances, to impose any duties on wheat, flour, oats, meat (including bacon and ham), cheese, butter or eggs. 9. While assisting the manufacturing industries of the country we propose also to give a direct measure of support to agriculture. Agriculture is not only, in itself, the greatest and most important of our national industries, but is of especial value as supplying the most stable and essentially complementary home market for our manufactures. 10. We propose to afford this assistance by a bounty of £1 an acre on all holdings of arable land exceeding one acre. The main object of that bounty is to maintain employment on the land and so keep up the wages of agricultural labour. In order to make sure of this we shall decline to pay the bounty to any employer who pays less than 30/- a week to an ablebodied labourer. 11. The exclusion from any import duties of the essential foodstuffs which I have mentioned, as well as of raw materials, undoubtedly imposes a certain limitation upon the fullest extension of Imperial Preference. But even the preferences agreed to at the recent Economic Conference within our existing fiscal system, have been acknowledged as of the greatest value by the Dominion representatives, and our present proposals will offer a much wider field, the value of which will be progressively enhanced by the increasing range and variety of Empire production. 12. Moreover in the field of Empire development, as well as in that of home agriculture, we are not confined to the assistance furnished by duties. We have already given an earnest of our desire to promote a better distribution of the population of the Empire through the Empire Settlement Act, and at the Economic Conference we have undertaken to co-operate effectively with the Government of any part of the Empire in schemes of economic develop ment. More especially do we intend to devote our attention to the development of cotton growing within the Empire, in order to keep down the cost of a raw material essential to our greatest exporting industry. 13. These measures constitute a single comprehensive and inter-dependent policy. Without additional revenue we cannot assist agriculture at home, but the income derived from the tariff will provide for this and leave us with means which can be devoted to cotton growing and other development in the Empire, and to the reduction of the duties on tea and sugar which fall so directly upon the working class household. 14. For the present emergency, and pending the introduction of our more extended proposals, we are making, and shall continue to make, every effort to increase the volume of work for our people. The Government are spending very large sums on every measure of emergency relief that can help in this direction. Further, the Local Authorities of all kinds throughout the country, and great individual enterprises, such as the railways, with the assistance of the Government, or on its invitation, are co-operating whole-heartedly in the national endeavour to increase the volume of employment. This great combined effort of the Government, of the Local Authorities, and of individual enterprises, represents an expenditure of no less than'100 millions sterling. 15. The position of shipbuilding, one of the hardest hit of all our industries, is peculiar. It can only recover as shipping revives with the development of Empire and foreign trade which we believe will follow from our measures. We propose in the meantime to give it special assistance by accelerating the programme of light cruiser construction which will in any case become necessary in the near future. We are informed by our Naval advisers that some 17 light cruisers will be required during the next few years in replacement of the County class, as well as a variety of smaller and auxiliary craft, and we intend that a substantial proportion of these shall be laid down as soon as the designs are ready and Parliamentary sanction secured. 16. The solution of the unemployment problem is the key to every necessary social reform. But I should like to repeat my conviction that we should aim at the reorganisation of our various schemes of insurance against old age, ill-health and unemployment. More particularly should we devote our attention to investigating the possibilities of getting rid of the inconsistencies and the discouragement of thrift at present associated with the working of the Old Age Pensions Act. The encouragement of thrift and independence must be the underlying principle of all our social reforms. 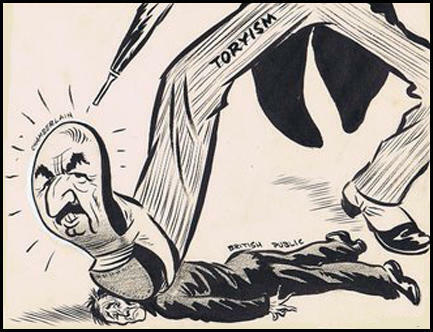 (3) In 1925 Winston Churchill, the Chancellor of the Exchequer, urged the government to introduce legislation to reduce the powers of the trade union movement. 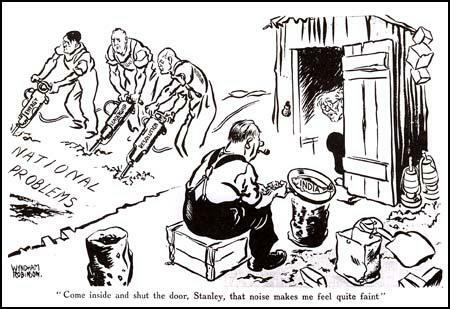 It was a time of high employment and Churchill believed this was the time to hurt them when they were economically weak. 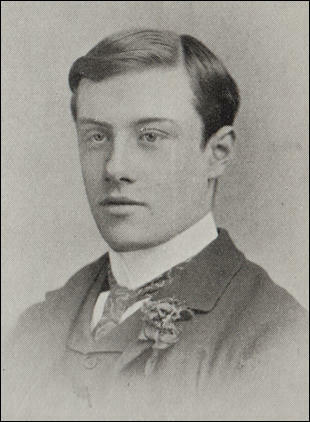 As the government refused to act, a Conservative Party backbench MP, Frederick A. Macquisten, introduced a private members bill on the subject. 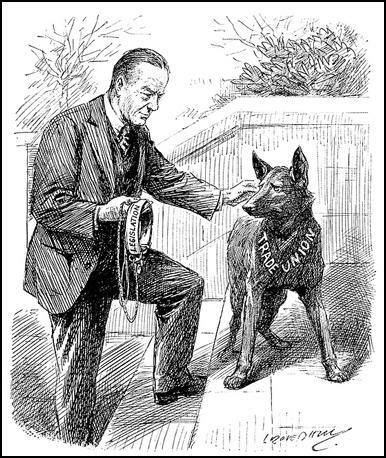 Stanley Baldwin, the prime minister made a speech in the House of Commons on the subject on 6th March, 1925. In my own view, the equity of the case. made by my hon. and learned Friend (Frederick A. Macquisten) is one of great strength. It will probably he supported in various quarters of the House, and indeed as violently opposed. And I suggest that very much of what I said with reference to the Reform Bill a fortnight ago is equally true of a Bill of this magnitude being brought in by private Members on a Friday. But. as I do not wish to detain the House longer than I can, I will do my best now to get away from the direct treatment of the points that have been raised, in order to give the House the reasons that have induced me to put down the Amendment which stands in my name. To some ways this is a very difficult speech for me to make. The matter of the Bill itself digs right into one of the most difficult and fundamental questions in the country to-day, and touches at various points questions which have interested me during the whole of my working life. I have thought so much about them, and I feel that I have so much to say about them, that my difficulty will be in choosing the little that I can possibly say today and finding words to express clearly to the House what is in my mind. I often wonder if all the people in this country realise the inevitable changes that are coming over the industrial system in England. People are apt either to get their knowledge of the industrial system from textbooks, which must inevitably be half a generation behind, or from some circumstances familiar to them at a fixed and static point in their lives, whereas, as a matter of fact, ever since the industrial system began in this country, it has been not only in a state of evolution, but in a state of evolution which, I think, historians in the centuries to come, when they write its history, will acknowledge to be an evolution that has developed at a far more rapid rate than was visible to the people who lived in these times. I hope the House will bear with me, and forgive me, if I draw for a few minutes on my own experience, because it so happens that, owing to the peculiar circumstances of my own life, I have seen a great deal of this evolution taking place before my own eyes. I worked for many years in an industrial business, and had under me a large number, or what was then a large number, of men. And it so happened, owing to the circumstances of this being an old family business, with an old and, I venture to say, a very good tradition, that when I was first in business, I was probably working under a system that was already passing. I doubt if its like could have been found in any of the big modern industrial towns of this country, even at that time. It was a place where I knew, and had known from childhood, every man on the ground, a place where I was able to talk with the men not only about the troubles in the works, but troubles at home where strikes and lock-outs were unknown. It was a place where the fathers and grandfathers of the men then working there had worked, and where their sons went automatically into the business. It was also a place where nobody ever "got the sack," and where we had a natural sympathy for those who were less concerned in efficiency than is this generation, and where a number of old gentlemen used to spend their days sitting on the handle of a wheelbarrow, smoking their pipes. Oddly enough, it was not an inefficient community. It was the last survivor of that type of works, and ultimately became swallowed up in one of those great combinations towards which the industries of to-day are tending. I remember very well the impact of the outside world that came on us which showed how industry was changing in this country. Nothing had interrupted the even tenor of our ways for many years, until one day there came a great strike in the coalfields. It was one of the earlier strikes, and it became a national strike. We tried to carry on as long as we could, but of course it became more and more difficult to carry on, and gradually furnace after furnace was damped down; the chimneys erased to smoke, and about 1,000 men who had no interest in the dispute that was going on were thrown out of work through no fault of their own, at a time when there was no unemployment benefit. I confess that that event set me thinking very hard. It seemed to me at that time a monstrous injustice to these men, because I looked upon them as my own family, and it hit me very hard � I would not have mentioned this only it got into the press two or three years ago � and I made an allowance to them, not a large one, but something, for six weeks to carry them along, because I felt that they were being so unfairly treated. But there was more in it really than that. There was no conscious unfair treatment, of these men by the miners. It simply was that we were gradually passing into a new state of industry, when the small firms and the small industries were being squeezed out. Business was all tending towards great amalgamations on the one side of employers and on the other side of the men, and when we came in any form between these two forces, God help those who stood outside! That has been the tendency of industry. There is nothing that could change it, because it comes largely, if not principally, from that driving force of necessity in the world which makes people combine together for competition, and for the protection they need against that competition. Those two forces with which we have to reckon are enormously strong, and they are the two forces in this country to which now, to a great extent, and it will be a greater extent in the future, we are committed. We have to see what wise statesmanship can do to steer the country through this time of evolution, until we can get to the next stage of our industrial civilisation. It is obvious from what I have said that the organisations of both masters and men - or, if you like the more modern phrase invented by economists, who always invent beastly words, employers and employees, these organisations throw an immense responsibility on the representatives themselves and on those who elect them. And, although big men have been thrown up on both sides, there are a great many on both sides who have not got the requisite qualities of head and heart. for business. There are many men with good heads and no hearts, and many men with good hearts and no heads. What the country wants to-day from the men who sit on this side of the House and on that is to exercise the same care as the men who have to conduct those great organisations from inside. I should like to try to clear our minds of cant on this subject, and recognise that the growth of these associations is not necessarily a bad thing in itself, but that, whatever associations may call themselves, it is the same human nature in both, and exactly the same problems have to be met, although we hear a good deal more of some of those problems than of others. Now, if you look at an employers' organisation for a moment - and we will assume that it has come into being to protect the industry in the world market - we cannot lose sight of the fact that in that organisation, just as much as in the men's organisation, the mere fact of organising involves a certain amount of sacrifice of personal liberty. That cannot be helped. Everybody knows that perfectly well, both employers and employees. To a certain extent both these organisations must on one side be uneconomic. A trade union is uneconomic in one sense of the word when it restricts output, and when it levels down the work to a lower level. It is an association for the protection of the weaker men, which has often proved uneconomic. Exactly the same thing happens in the employers' organisation. Primarily, it is protective, hut in effect it is very often uneconomic, because it keeps in existence. works which, if left to the process of competition, would be squeezed out, and whose prolonged existence is really only a weakness to the country. It has also another very curious effect, not at all dissimilar front that of the trade union reaction, which shows that both those organisations are instinct with English 838 traditions. The workmen's organisation is formed to see that under the conditions a workman cannot get his living in a particular trade unless he belong to that union. An employers' organisation is formed in that particular trade for the protection of the trade, and it has the result of effectively preventing any new man starting in that trade. In this great problem which is facing the country in years to come, it may be from one side or the other that disaster may come, but surely it shows that the only progress that can be obtained in this country is by those two bodies of men - so similar in their strength and so similar in their weaknesses - learning to understand each other, and not to fight each other. It is perfectly true - every point raised by my hon. and learned Friends is true - that trade unionism has its weak spots. We are primarily discussing trade unions, and that is why I shall content myself to speak about trade unions only. It is perfectly true that my hon. and learned Friends have laid their finger on three points which trade unionists themselves know arc their weak spots. That can be seen by the interruptions that came from the Labour benches. Those three points are, the question whether in all cases the subject of the levy is treated fairly, the question of the ballot, and the question of book-keeping. To my mind, it is impossible to dissociate one of these questions from the other, and they really all hang together. The whole tradition of our country has been to let Englishmen develop their own associations in their own way, and with that I agree. But there are limits to that. I spoke some time ago - and I spoke with a purpose - about the recognition of the change in the industrial situation in. 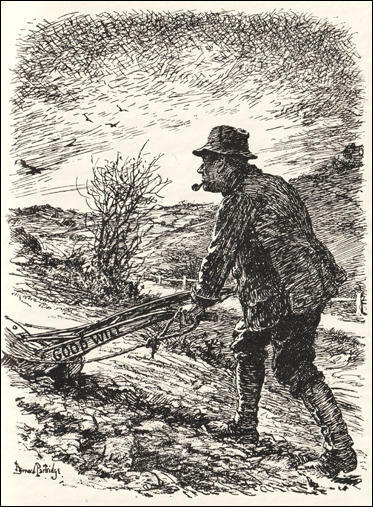 those works with which I was connected, when for the first time what was done in the way of organising the coal strike suddenly came and hit thousands of men who had nothing to do with it, and had no direct interest in it. As these associations come along and become more powerful, on whichever side they are, there may come a time when not only they may injure their own members - about which probably there would be a good deal of argument - but when they may directly injure the State. It is at that moment any Government should say that, whatever freedom and latitude 839 in that field may be left to any kind of association in this free country, nothing shall be done which shall injure the State, which is the concern of all of us and far greater than all of us or of our interests. I have not very much more to say. I have just tried to put, as clearly as I can in a few words, my conviction that we are moving forward rapidly from an old state of industry into a newer, and the question is: What is that newer going to be? No man, of course, can say what form evolution is taking. Of this, however, I am quite sure, that whatever form we may see, possibly within this generation, or, at any rate, in the time of the next generation, it has got to be a form of pretty close partnership, however that is going to be arrived at. And it will not be a partnership the terms of which will be laid down, at any rate not yet, in Acts. of Parliament, or from this party or that. It has got to be a partnership of men who understand their own work, and it is little help that they can get really either from politicians or from intellectuals. There are few men fitted to judge, to settle and to arrange the problem that distracts the country to-day between employers and employed. There are few men qualified to intervene who have not themselves been right through the mill. 1 always want to see, at the head of these organisations on both sides, men who have been right through the mill, who themselves know exactly the points where the shoe pinches, who know exactly what can be conceded and what cannot, who can make their reasons plain; and I hope that we shall always find such men trying to steer their respective ships side by side, instead of making for head-on collisions. Having said what I have said about that, what am I to say about the attitude of the party of which I have the honour to be the head? I do not know whether the House will forgive me if I speak for a minute or two on a rather personal note. For two years past in the face of great difficulties, perhaps greater than many were aware of, I have striven to consolidate, and to breathe a living force into, my great party. Friends of mine who have done me the honour to read my speeches during that time have seen pretty clearly, however ill they may have been expressed, the ideals at which I have been aiming. I spoke on that subject again last night at Birmingham, and I shall continue to speak on it as long as I am where I am. We find ourselves, after these two years in power, in possession of perhaps the greatest majority our party has ever had, and with the general assent of the country. Now how did we get there? It was not by promising to bring this Bill in; it was because, rightly or wrongly, we succeeding in creating an impression throughout the country that we stood for stable Government and for peace in the country between all classes of the community. Those were the principles for which we fought; those were the principles on which we won; and our victory was not won entirely by the votes of our own party, splendidly as they fought. I should think that the number of Liberals who voted for us at the last Election ran into six figures, and I should think that we probably polled more Labour votes than were polled on the other side. That being so, what should our course be at the beginning of a new Parliament? I have not myself the slightest doubt. Last year the Leader of the Labour party, when he was Prime Minister, suspended what had been settled by the previous Government, and that was further progress for the time being on the scheme of Singapore. He did it on the ground that it was a gesture for peace, and he hoped that it would be taken as such by all the countries in the world. He hoped that a gesture of that kind might play its part in leading to what we all wish to see, that is, a reduction in the world's armaments. I want my party to-day to make a gesture to the country of a similar nature, and to say to them: "We have our majority; we believe in the justice of this Bill which has been brought in to-day, but we are going to withdraw our hand, and we are not going to push our political advantage home at a moment like this. Suspicion which has prevented stability in Europe is the one poison that is preventing stability at home, and we offer the country to-day this: We, at any rate, are not going to fire the first shot. We stand for peace. We stand for the removal of suspicion in the country. We want to create an atmosphere, a new atmosphere in a new Parliament for a new age, in which the people can come together. We abandon what we have laid our hands to. We know we may be called cowards for doing it. We know we may be told that we have gone back on our principles. But we believe we know what at this moment the country wants, and we believe it is for us in our strength do what no other party can do at this moment, and to say that we at any rate stand for peace. I know - I am as confident as I can he of anything - that that. will he the feeling of all those who sit behind me, and that they will accept the Amendment which I have put down in the spirit in which I have moved it. And I have equal confidence in my fellow countrymen throughout the whole of Great Britain. Although I know that there are those who work for different ends from most of us in this House, yet there are many in all ranks and all parties who will re-echo my prayer: Give peace in our time, O Lord. I put before the whole House my own views with an appalling frankness. From 1933, I and my friends were all very worried about what was happening in Europe. You will remember at that time the Disarmament Conference was sitting in Geneva. You will remember at that time there was probably a stronger pacifist feeling running through this country than at any time since the War. I am speaking of 1933 and 1934... My position as the leader of a great party was not altogether a comfortable one. I asked myself what chance was there...within the next year or two of that feeling being so changed that the country would give a mandate for rearmament? Supposing I had gone to the country and said that Germany was rearming and that we must rearm, does anybody think that this pacific democracy would have rallied to that cry at that moment? I cannot think of anything that would have made the loss of the election from my point of view more certain. I think the country itself learned by certain events that took place during the winter of 1934–35 what the perils might be to it. All I did was to take a moment perhaps less unfortunate than another might have been, and we won the election with a large majority...[In 1935] we got from the country - with a large majority - a mandate for doing a thing that no one, 12 months before, would have believed possible. The king decided for Baldwin, and everything suggests that he was influenced above all else by the fact that Curzon was a peer. His strong inclination to keep the premiership in the Commons was heavily reinforced by the advice of Balfour whom he consulted as an ex-Tory Prime Minister and the leading elder statesman of the party... We know that he privately had long regarded Curzon with a mixture of dislike and contempt. He was, however, careful to say nothing personally detrimental. 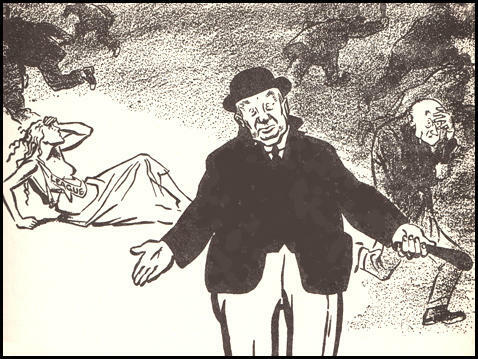 He merely pointed out that a Cabinet already over-weighted with peers would be open to even greater criticism if one of them actually became Prime Minister; that, since the Parliament Act of 1911, the political centre of gravity had moved more definitely than ever to the Lower House; and finally that the official Opposition, the Labour party, was not represented at all in the House of Lords. The Battle for the Throne has begun. On Wednesday evening (I know all that follows to be true, though not six people in the Kingdom are so informed), Mr Baldwin spent one hour and forty minutes at Buckingham Palace with the King and gave him his ultimatum that the Government would resign, and that the press could no longer be restrained from attacking the King, if he did not abandon all idea of marrying Mrs Simpson. Mr Baldwin had hoped, and thought to frighten the Monarch, but found him obstinate, in love and rather more than a little mad; he refused point blank, and asked for time to consult his friends. 'Who are they?' Mr Baldwin demanded. The audience was not acrimonious, but polite, sad and even affectionate, I am told. (15) Resolution passed by the British Battalion on 27th March 1937. We the members of the British working class in the British Battalion of the International Brigade now fighting in Spain in defence of democracy, protest against statements appearing in certain British papers to the effect that there is little or no interference in the civil war in Spain by foreign Fascist Powers. We have seen with our own eyes frightful slaughter of men, women, and children in Spain. We have witnessed the destruction of many of its towns and villages. We have seen whole areas which have been devastated. And we know beyond a shadow of doubt that these frightful deeds have been done mainly by German and Italian nationals, using German and Italian aeroplanes, tanks, bombs, shells, and guns. We ourselves have been in action repeatedly against thousands of German and Italian troops, and have lost many splendid and heroic comrades in these battles. We protest against this disgraceful and unjustifiable invasion of Spain by Fascist Germany and Italy; an invasion in our opinion only made possible by the pro-Franco policy of the Baldwin Government in Britain. We believe that all lovers of freedom and democracy in Britain should now unite in a sustained effort to put an end to this invasion of Spain and to force the Baldwin Government to give to the people of Spain and their legal Government the right to buy arms in Britain to defend their freedom and democracy against Fascist barbarianism. We therefore call upon the General Council of the T.U.C. and the National Executive Committee of the Labour party to organise a great united campaign in Britain for the achievement of the above objects. We denounce the attempts being made in Britain by the Fascist elements to make people believe that we British and other volunteers fighting on behalf of Spanish democracy are no different from the scores of thousands of conscript troops sent into Spain by Hitler and Mussolini. There can be no comparison between free volunteers and these conscript armies of Germany and Italy in Spain. Finally, we desire it to be known in Britain that we came here of our own free will after full consideration of all that this step involved. We came to Spain not for money, but solely to assist the heroic Spanish people to defend their country's freedom and democracy. We were not gulled into coming to Spain by promises of big money. We never even asked for money when we volunteered. We are perfectly satisfied with our treatment by the Spanish Government; and we still are proud to be fighting for the cause of freedom in Spain. Any statements to the contrary are foul lies. Halifax relates that Baldwin, in the year of the Abdication, took three months' holiday (repeat three months), at the end of which he asked Eden, then Foreign Secretary, "Have you had many telegrams about the King?" Eden said no. Then Baldwin said, "I have had a great many, some from the most extraordinary people. I foresee that I shall have a lot of trouble over this. I hope that you will not bother me with foreign affairs during the next three months." Yet these were mois mouvementes in foreign affairs. Hitler was arming, arming, arming, day by day. 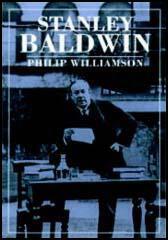 But Baldwin was focused on the tactics of the Abdication. The death of Lord Baldwin is announced. He died in his sleep at his Worcestershire home. He was a grand old man, humane, and remarkably tolerant of human weakness ... He looked like a stalwart old oak, seemed unapproachable and seldom talked to anybody in the House of Commons. He had an odd habit of tearing up his Order Papers, and of grunting. Lazy and ill informed about anything outside England, he was in a way typical of his age, and accurately reflected the English people. Smuts once told me-one night he was dining at Belgrave Square - that probably the world had rated Baldwin too high when he was at the zenith of his power, and certainly in more recent years had rated him too low. History, he said, would surely restore the balance. Later, in the House, many tributes were paid to Lord Baldwin - the most impressive, because it was so unexpected, came from the comic Communist Gallacher; an emotional hush fell on the Chamber as he sat down, and the House adjourned as a mark of respect to the dead Prime Minister.